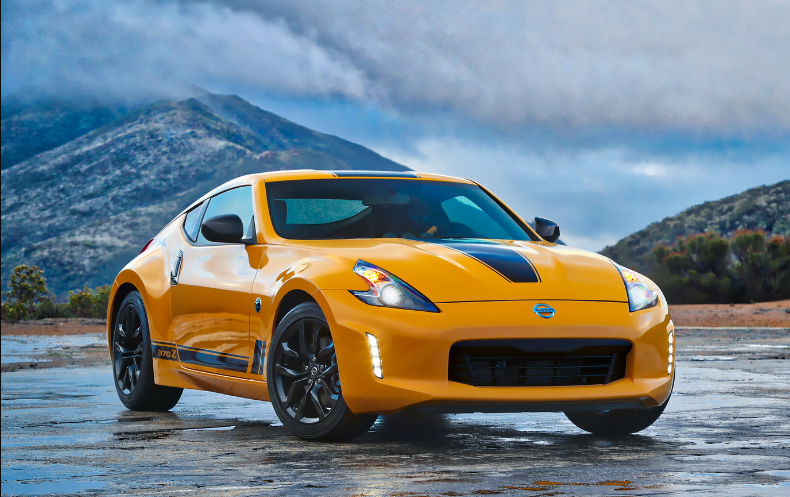 2018 Nissan 370Z – While there are many Sports cars available out there, we can say that 2018 Nissan 370Z is one of those choices that we must consider. It is a cool car which comes with some amazing features. Thanks to its two seats, powerful and non-turbocharged V6 engine, we can say that it is a car that really focuses on its strong point. To help you learn more about this car, let’s read our review here. 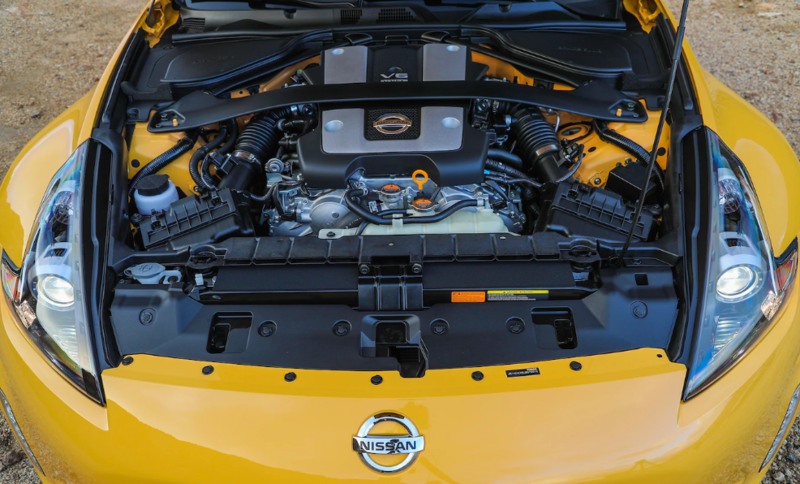 What is New for 2018 Nissan 370Z? Well, there are some new changes that you can expect if you want to buy 2018 Nissan 370Z. In fact, the new model gets styling enhancements including a revised lower rear fascia, darkened light housings front and back, and also different 19-inch wheels. The biggest difference is that the base Nizmo trim is no longer available. The only choice available is the Nizmo Tech. The new car also gets some special graphics to the base coupe. The new Nissan 370Z is a Sports car which is available as a soft top convertible and a hatchback coupe. The coupe version comes in some trim levels. These choices are Touring, Base, Sport Tech, Sport, and Nizmo Tech. The convertible version is available in the Touring Sport, Base, and Touring. All models are powered by a 3.7-liter V6 engine which is paired with a seven-speed automatic transmission and a six-speed manual transmission. This engine can produce 332 horsepower which is powerful enough. 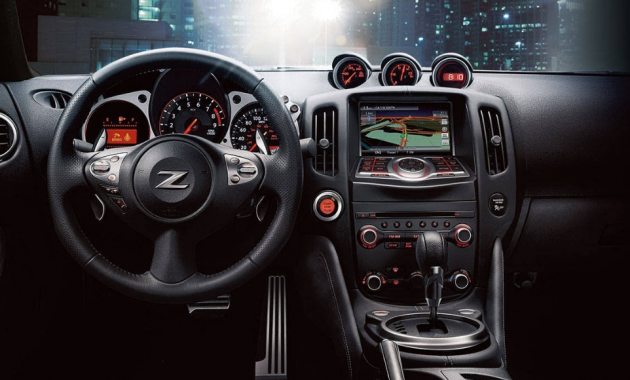 The Base Nissan 370Z comes with some features such as summer performance tires, 18-inch wheels, LED running lights, automatic climate control, cruise control, and automatic xenon headlights. If you want more technologies added, then you can choose the Sports trim which is only available on the coupe version. The Sports trim adds some features such as upgraded brakes, the limited-slip differential, heated mirrors, 19-inch wheels, and an eight-speaker Bose Audio system. The next choice is the Touring trim which loses the Sport’s performance, but it has some luxury features added. For example, it adds a rear cargo cover, simulated suede upholstery, and also an auto-dimming rearview mirror. Other features which can make your driving experience more fun are satellite radio, Bluetooth audio connectivity, and also a media player interface. The convertible version also comes with ventilated front seats. 2018 Nissan 370Z Which Model Should You Choose? The Sports Tech is without a doubt the best choice that you can consider if you only care about performance. It gets the most of the equipment from the Touring and Sports models. However, there are some features that have been dropped such as cargo cover, upgraded upholstery, and heated power seats. Well, we think that the cabin is dated, but you can ensure that all controls are easy to reach inside the compact cabin. The base model comes with an array of knobs and buttons. The ride is firm and it is loud, but we think that it is quite normal for a Sports car. The base model starts at $56,930, but you need to spend more money if you choose a higher trim level. 2018 Nissan 370Z is already available in 2018.